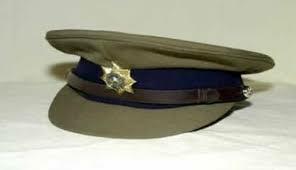 A GWANDA-based cop was yesterday sentenced to three months in jail for maintenance arrears of $1 230 accumulated over 18 months. Brian Baye who is stationed at ZRP Matabeleland South Provincial Headquarters in Gwanda was convicted on his own plea of guilty to failure to comply with a maintenance order by Gwanda provincial magistrate, Mr Maphios Moyo. He was sentenced to three months imprisonment of which one month was suspended on condition that he does not commit a similar offence within the next five years. The remaining two months were further suspended on condition that he clears the maintenance arrears. Baye was ordered to pay an additional $50 per month with effect from this month until the arrears are cleared. Prosecuting, Miss Ethel Mahachi said Baye was ordered to pay $70 a month to Ms Peacemaker Moyo for the upkeep of his minor child. “On 11 January 2016 Baye was ordered by the court to pay $70 towards the upkeep of his child. Baye defaulted payment from June 2017 to October 2018 resulting in the arrears. Miss Moyo reported the matter to the police leading to his arrest,” she said. In a related matter, another Gwanda man was sentenced to six months in jail for maintenance arrears of $2 500 which accumulated over 31 months. Shepherd Moyo who works as a cashier in a bar at a local mine, was convicted on his own plea of guilty to failure to comply with a maintenance order by Gwanda magistrate, Miss Lerato Nyathi. He was sentenced to six months imprisonment which was wholly suspended on condition that he clears the maintenance arrears. Moyo was ordered to pay an additional $100 per month with effect from this month until the arrears are cleared. In passing sentence, Miss Nyathi rebuked Moyo for neglecting his duty of supporting his child. “During these two years and seven months that you were not paying maintenance who did you expect to fend for your child?” she asked. Prosecuting, Miss Glenda Nare said Moyo was ordered in February 2015 to pay $80 per month to Ms Primrose Pelewelo for the upkeep of his child.